Dr. Michael Dues is Senior Lecturer in Communication at The University of Arizona, where he also served as head of the Department of Communication. The holder of an M.A. in American History from the University of Louisville and a Ph.D. in Communication and American Studies from Indiana University, Professor Dues has spent 40 years not only as an award-winning teacher and respected scholar, but also as a successful organizational consultant, working with both public and private organizations on the human aspects of management. Honored for consistently excellent teaching by both The University of Arizona and California State University, Sacramento, Professor Dues has also written widely for academic and trade publications. 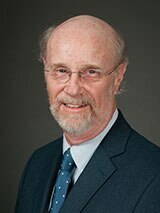 His books include Boxing Plato's Shadow: An Introduction to the Study of Human Communication and The Practice of Organizational Communication, both coauthored with his spouse, Mary Brown; and The Pursuit of Probable Truth: A Primer on Argument. He also served seven years as an ombudsman for The University of Arizona. In his work on conflict, he draws not only on academic studies but also on his broad experience as an administrator, a consultant, and a practitioner.